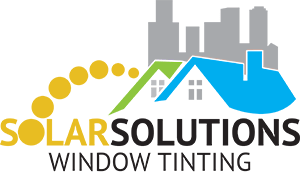 If you are considering one of the many options available to enhance the windows in your home or office, contact Solar Solutions for all your window tinting services. We can provide quality products and install window tinting on the glass in your home or place of business for UV protection, heat reduction, glare control, safety, security and privacy. If you are interested in this service, then you are certainly concerned about NYC window tinting prices. Solar Solutions offers cost effective ways to enhance the look and feel of your home or office. How does Solar Solutions compare to other NYC window tinting prices? We will work within any budget to provide you with the highest quality window tinting services and installation in your home or business. Our customer service team has many options available that fit the budgets of all of our customers. The experts at Solar Solutions will work with you to provide the best NYC window tinting prices available. When you are comparing NYC window tinting prices, make sure you get an estimate from Solar Solutions because you will find that our prices are very competitive. We offer window tinting products and services that can help to significantly reduce energy consumption and lower interior temperatures by up to 15 degrees. While many customers are interested in window tinting for decorative purposes, it can also increase privacy, and enhance security within your home or business. Solar Solutions offers the most competitive NYC window tinting prices and we have so many options that can fit any budget. We have a large selection of stylish decorative window films and we can create unique, custom designs for any home or business. We also provide interior finishes, which are cost effective ways to enhance the look and feel of your home or office. For a professional NYC window tinting service with unbeatable NYC window tinting prices, look no further than Solar Solutions, the window tinting specialists. Our products are professionally installed by our authorized, factory-trained technicians and we never use subcontractors, so we ensure that our employees will deliver the highest quality window tinting service. Tinting windows is not only easy, it’s also far more cost efficient than replacing your entire window. With the best NYC window tinting prices available, Solar Systems window tinting can reduce your energy bills, and provide privacy and security with this simple treatment that you and your family will continue to enjoy for years. Solar Solutions has provided New York City and Long Island businesses and homes with personalized service and professional installation and the best NYC window tinting prices for over 30 years. We are reliable and dependable and only use the highest quality products and materials. Contact us today at 866-995-0433 to learn more about our window tinting products and services. You will find that offer the best NYC window tinting prices and services around.